The Avengers: Stop Thinking. Enjoy the Ride. It is finally here. It was only took us four years to get here, four long years of hearing many a fan-boy’s giddy expectations for this movie. After four years of waiting and the five full length movies we had to get through to get to this point, ‘The Avengers’ has now been seen by the world, and like most movies that were hyped to the extreme, everyone seems to have an opinion. You want to hear mine? I’m not sure if you’ll like it, it’s a tad against the grain from how I usually view film, but I hope you can appreciate the change of pace. 1. Stop thinking. Talk about going a completely different direction. This is totally different from the way I usually think about film. To me, story is everything. I went into this movie like I do most movies, looking for a distinct drive and purpose to the story telling, and at first it caused me frustration. There was something about a Tesseract, limitless energy, opening a portal to hell, Thor’s totally worthless brother, SHIELD’s poor relationship with the government, a nuclear strike, blah, blah, blah. Honestly, when I think retrospectively on the specific plot points of ‘The Avengers’ it’s just a mess. But before you write it off, I challenge you with this. This movie is not about the story. The story behind these characters is found in their individual films that came before. 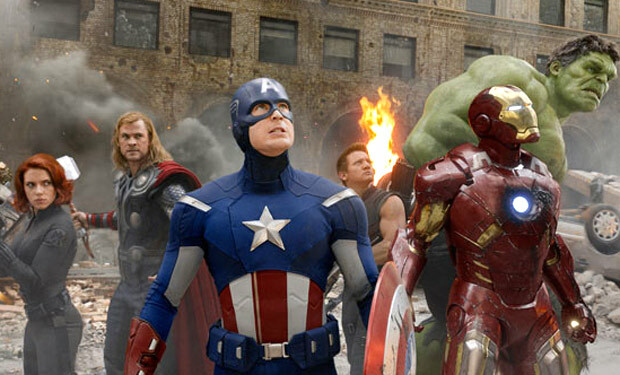 ‘The Avengers’ is about watching superheroes teaming up and taking on the super villains along the way. It’s about making the odds balanced in the favor of evil as much as possible, then watching the good guys triumph anyway. The story is merely set up to the final fire fight, a path to the eventual climax. So do yourself a favor; shut off your brain and just enjoy the ride. 2. It’s okay to laugh. The thing that really made this movie enjoyable was the special effects, star-studded cast, and incredible action, but it was also the movie’s ability to make the audience laugh. It was actually a really funny movie, of course an action movie first, but a comedy in the close second. The dialogue is dripping with sarcasm and irony, allowing the audience to truly enjoy their experience. There used to be a time in filmmaking where action movies were like this. It wasn’t all doom and gloom, but it was just pure entertainment. Spielberg was great at this, being able to balance the whimsy with wonder (You know that moment where the bandit swings the sword in the face of Indiana Jones and he just shoots him with the pistol?) By the end of ‘Avengers,’ the audience is not only enthralled by the spectacle of chaotic destruction, but they are giggling along with the characters, as if the whole thing is a carnival game. Also, if you want a really good laugh, just stick around after the full credits. Funniest fifteen seconds of the year. 3. Strap in for the final hour. As previously stated, the entire movie is building up to this one huge climax, a finale that can challenge all finales. When our totally worthless villain finally takes control of the city with his other-worldly army, it is up to the Avengers to stop him. What ensues is nearly a full hour of super heroes breaking the skulls of alien soliders. Iron Man is flying around like a fighter jet, Captain America is saving innocent civilians while directing traffic, Thor is laying the smack down with that hammer, and the Hulk smashes, and when the Hulk smashes, he smashes good. Everyone eventually gets a shot at our bad guy, and this guy goes 0 for 4 against the vigilante hit squad. Again, Loki is completely worthless. 4. Scarlett Johansson and Jeremy Renner. I imagine there were moments while writing this movie that Joss Whedon and his buddies were thinking “We want to make the single most exciting movie ever made. How can we make this thing even more out of this world?” The answer? Add the beautiful and incredibly talented duo of Scarlett and Jeremy to the mix to play deadly black-ops agents with a chip on their shoulder. In all seriousness though, the two characters of Hawkeye and Black Widow were the x-factor in this movie. 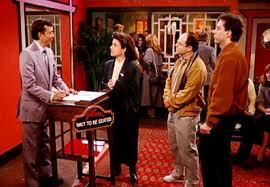 They gave the audience some characters they could relate to while continuing to entertain at the highest level. Plus, they would make beautiful children together. Now that I’ve revealed my man-crush, we’ll move on. In closing, I want to put to rest a few things that were brought up when this movie came out. The first is that ‘The Avengers’ made more money in its opening weekend (over $200 million) than any other movie in history, crushing even the final Harry Potter film that was released only last summer. That is HUGE. By the end of it all, this movie will probably make more than $1 billion and be one of the highest grossing movies of all time. It is difficult to ignore a response like that, even though it is a completely imperfect movie. But I predict that both ‘The Dark Knight Rises’ and ‘The Hobbit: An Unexpected Journey’ will both break this record within the year. The other topic being brought up is this: ‘The Avengers’: Best Super-Hero Movie of All Time. Can I have a ‘geek out’ moment? As fun as ‘The Avengers’ is, and as much as I enjoyed it, it is NOT the Best Super-Hero Movie of All Time. Not even close. To try to compare this movie to ‘The Dark Knight’ (and believe me, many people are) is just simply ridiculous. ‘The Dark Knight’ is one of the best movies of our generation, filled with complexity and truly challenging characters and ideas, that touches both entertainment and filmmaking genius. 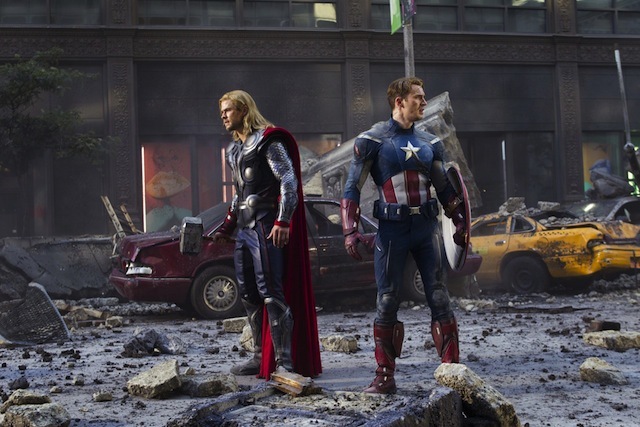 ‘The Avengers’ is completely void of depth, made to simply give the audience a thrill, and it does it perfectly. Even without ‘The Dark Knight’ there are still half a dozen better movies out there about caped crusaders. So, fan-boys, stop the hype and think with your brains, not your adrenaline-filled hearts. My Note: This was such a fun movie to watch; Stop thinking and just enjoy the ride. You devoted readers, all three of you, may be wondering where we’ve gone the past few weeks. Well, believe it or not, we have some well laid out reasons for this. 1. We are college students! Our final exams are coming up, and I personally know for a fact that if I kept posting obsessively like I was the first two weeks we were up, I would have bombed my classes. After finals are done, we will be up and running like before. 2. We were the Dead Zone. Honestly though, April is the worst time of year for movies. The Oscar films are no longer in theaters and the summer slam of sweet blockbusters has not yet graced us. Think about this; the best reviewed movie of the month was “Cabin in the Woods”? Really? God, let my screening of “The Avengers” tomorrow night come quickly, do not forsake us. 3. We’re all about to leave school for the summer, so we’re spending time with people that we won’t see for awhile. I hope that’s alright with you, devoted reader. Be looking forward to a preview for the rest of the year, as well as reviews on the best films of the summer. I’m already looking forward to it.